Helpful tips. 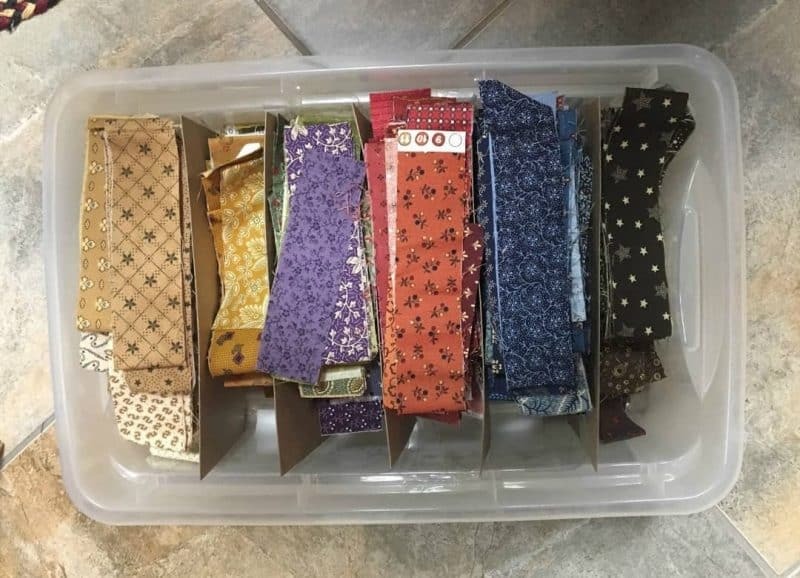 I like your organized scrap strips! Good idea! I do a lot of applique so I keep a lot of odd size scraps. I keep them in shoeboxes with one color in each. I also have a label of the front of the box and stack them with the label out. This allows me to quickly find and use a large variety of fabrics for applique, thereby keeping my big pieces, BIG!! Very good idea for those of us who applique. I do this too! Great reminder tips for all quilters, especially new quilters! I do all 10, but then have been quilting for 20 years. I really enjoy your Blog Post! So informative! There are some tips that I may not know about!!! This should be required reading for all beginning Quilters. Spot on! Great tips. I especially liked the hook for scissors and mini ruler. Love the way you have colored strips organized! Must do that!! Checking the size of each unit can save a lot of time and inaccuracies as you piece. 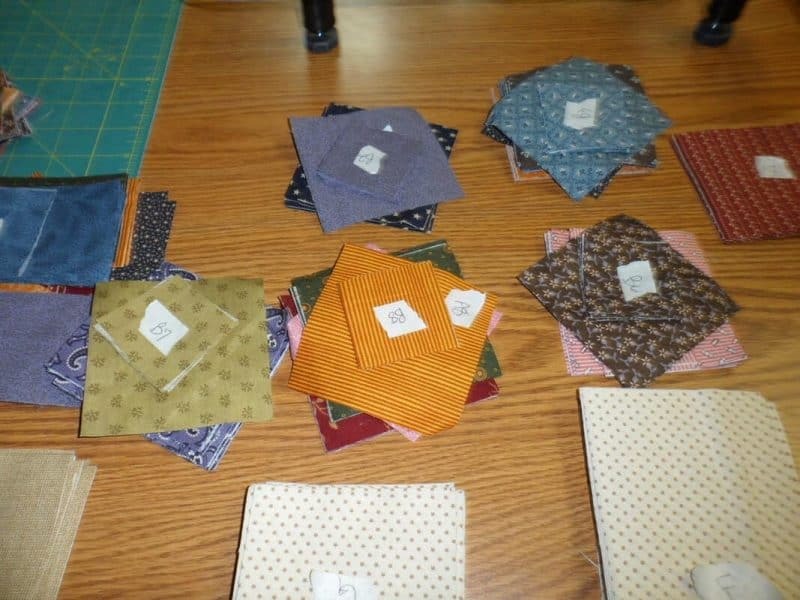 Also making sure seam allowance is correct – for a test, sew several 1 1/2″ short pieces together with what you believe to be the correct allowance. Now press carefully and measure. The measurement must be equal to the number of pieces + 1/2″. If it’s not, adjust and try again – until you get it right. That’s a great way to check seams. Love the tips! Good reminders! I loved all 10 tips! 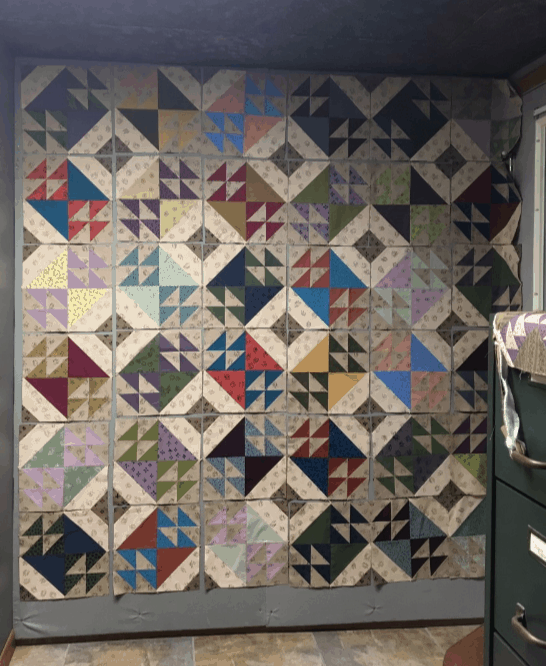 I have been quilting for 30 years. I do many of your tips and feel every beginner needs this list as a worthy guide for quilting. 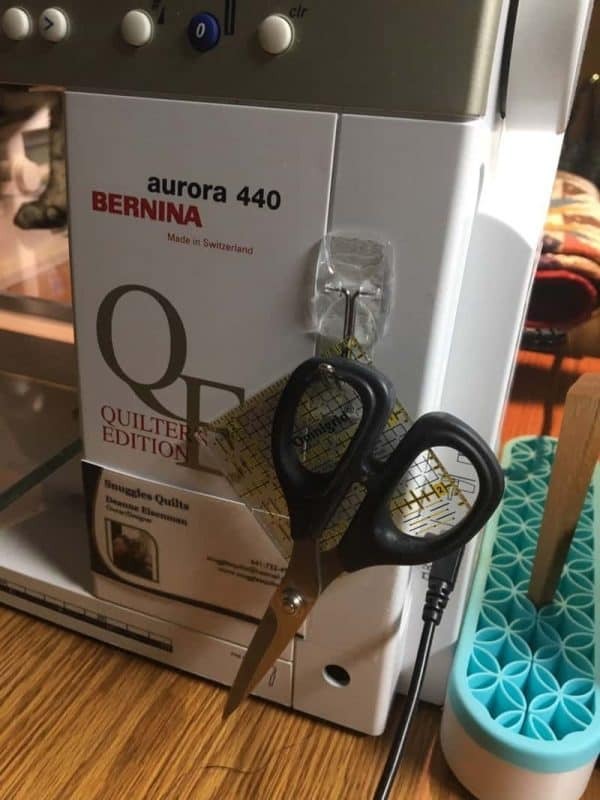 I especially like your tip on the small hook on the sewing machine for trimming scissors and ruler. It is a tip I will try. Thanks for the reminders and the new ideas too. I am a firm believer in measuring as you go! The blocks go together so much easier if you do. My tip is to make half square triangles a little bigger by 1/8 of an inche and then trim down to size you need, if calls for 2 7/8 I cut a 3. No more too small squares! That’s a great way to make sure your half-square triangle squares are not too small. 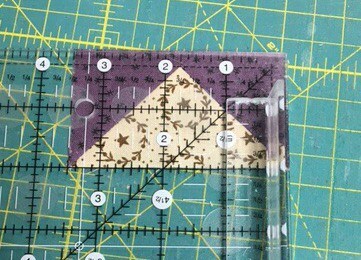 I often to that and use the Quilt in a Day Triangle Square-up ruler to trim the squares to size. Good reminder tips for everyone irregardless of quilting experience! I have been sewing/quilting for a very long time and still have issues sewing an absolutely straight line. Love the tips. 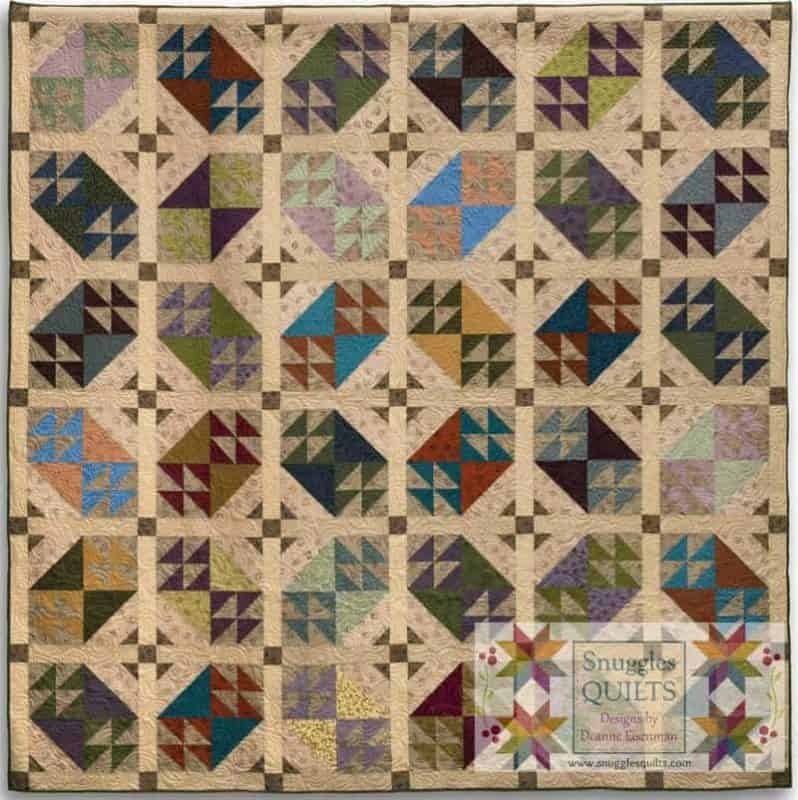 Do you have any for choosing colors or the number of different colors to put in a quilt? Hi! I have done several blog posts on choosing color for quilting. If you page through the past posts you will find them. Glad you like the tips! Great tips especially the first one. I recently started an appliqué pattern and when I went to cut the blocks , there were no cutting instructions! I had to email the author. I can’t live without the best press . If I press as I go, when I sit down to quilt, everything is tidy. I love Best Press. Helps press my seams really nice and flat. Tip #1 is very important. Read the pattern all the way thru so that you understand the how, what and when to do something. Don’t forget to clean lint out of your machine when you change the bobbin. Maybe add a drop of oil, too. A little loving care will keep your machine working longer and better. Definitely cleaning the machine is very important. I do that and oil every time I change the bobbin. Great tips !! 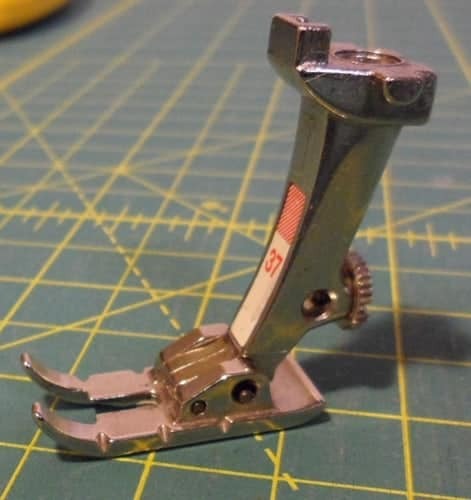 I just bought a quarter inch foot for my machine, it keeps my seams correct….what a difference!! Great tips! I’m just getting back into quilting after being away for about 15 years, so I don’t have any special tips to share; but am eagerly absorbing everyone else’s! Much has changed!! And I’m bookmarking this page. 🙂 I’m also looking for some advice on buying a medium price sewing/quilting machine. Mine is old and a beginner machine.Thanks for tips! Many people have had luck with finding a medium priced machine from Janome. They have a good line of really good sewing machines for quilters. Eight and nine are the tips I need to follow better. I tend to skip those a lot. I’m just getting back into quilting after many years. I really appreciate the tips and I especially like the suggestion about the hook to keep your scissors and small ruler handy. Thanks for posting. Great tips. I too measure and trim as I go. I really feel this makes a great difference. Nice tips and reminders for many things we may know but sometimes forget! Now, can you help us find more time for quilting?? Thank you so much for ALL of these VERY helpful hints. I am going to try your theory about pressing your seams open for a more accurate seam measurement. This is the one area of quilting that has been VERY difficult and frustrating for me to consistently achieve, so I do appreciate the sharing of what works well for you (and will hopefully work for me, too). Woo Hoo! Glad you’re going to try that tip out. I hope it helps! I’m definitely going to try to be as organized as you are! Great tips, and I always stress #9 whenever teaching a class. 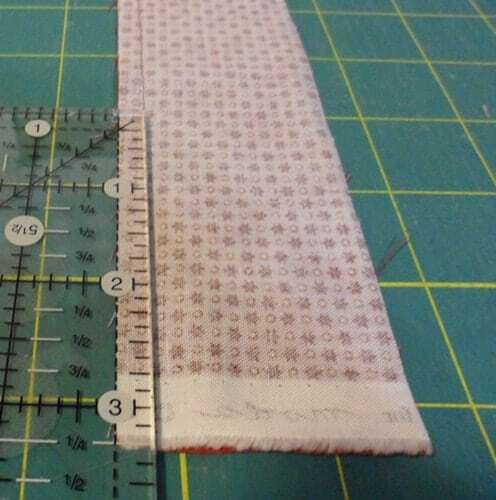 Amazing the emphasis on the 1/4″ seam but if the unit (front side) isn’t the correct size to be put into your block then into your quilt, well, the “perfect or scant” 1/4″ seam is a moot point. Wrong sized units “grow exponentially” within a block and thus your quilt. 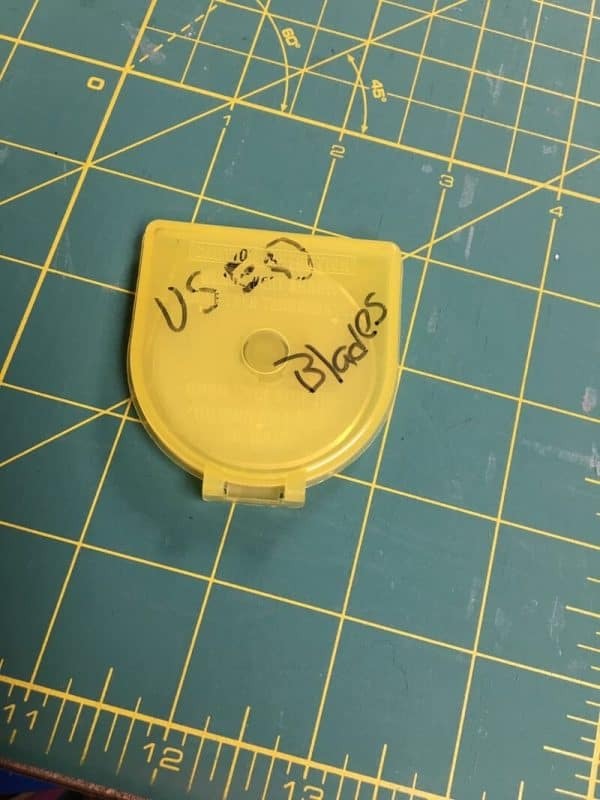 Organizing your project with labels and baggies or whatever, if needed, is a given and excellent advice. When I began quilting, I heard all the cliches. Won’t notice from a galloping horse. It’s not going in a show. The more one sews and quilts, the better and more proficient we become. Thanks for a great list! And I love your pattern! Step 4 is something I need to become better at. 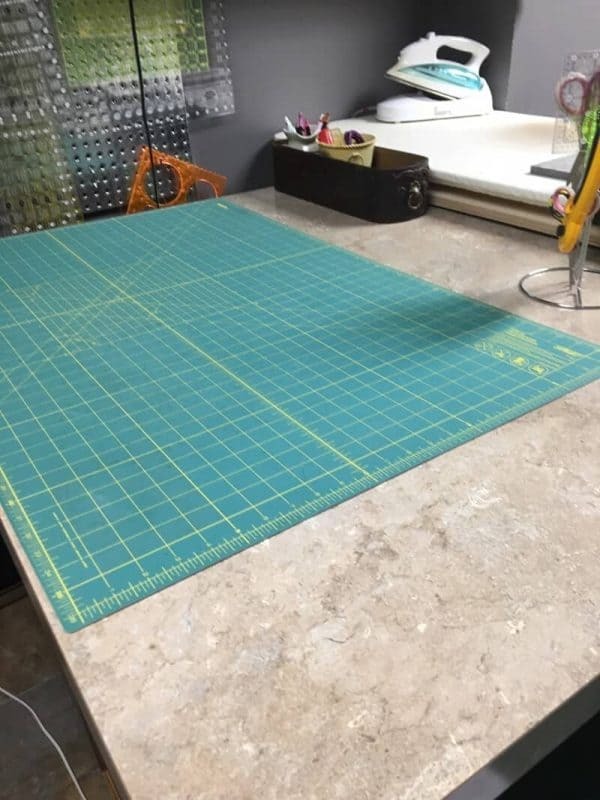 I agonize over auditioning fabrics, and wondering if different fabrics will work together in a block, I need to learn to trust myself more and to set up something like your system to help myself become better organized. No picture after no. 4, but otherwise good advice. !! Just getting back to quilting. Thanks for your tips!